If you listen to Christian rap you owe it to yourself to listen to this track by Troops In Combat. Troops in Combat, also known as T.I.C., is comprised of Big T, CD, B-Good, and Lil Dre. 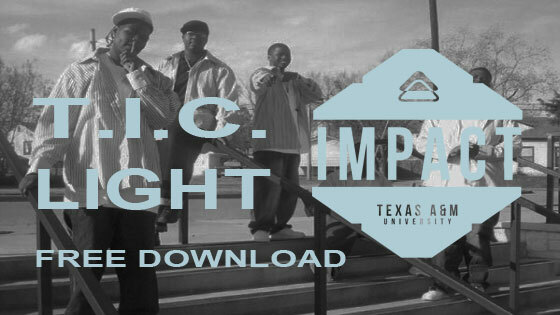 You may have listened to T.I.C. before if you downloaded their free mixtape that I posted last year. Last year they wrote and recorded this Christian Rap track for Impact Retreat. I meant to post it after the last retreat in August but it was lost in the pile (that seems to be happening a lot lately and I apologize). Feel free to download the song below and share it with your friends. You are free to use it in your videos also, but please link back here so others can download the song. Expect more songs from T.I.C. in the future. The group is currently working on a new CD that will be released later this year. You can follow Big T on Twitter for updates. If you would like more royalty free music, check out my list of royalty free music sites that offer songs that you can use in Youtube and Vimeo videos for free! Whats up very nice blog!! Man .. Excellent .. Amazing .. I will bookmark your website and take the feeds also?I am satisfied to find so many useful info right here in the put up, we’d like work out more strategies on this regard, thanks for sharing. . . . . . Thanks for this royality free msuc (rap). I am a big fan of this. Awesome song! Just added it as a soundtrack for our camp video. Look us up on FB – Mountaintopcamp.org Thanks for sharing. Maybe you can help me, when I got to download it just pulls up a blank page. I want this song for all boys mentoring program. Thanks for any tips on downloading. I am trying to download this song for a video for a boys mentoring program. But I am unable to. When I clock to download it just take me to a blank page. Please help! Hey Rachel, thanks for letting me know the download wasn't working! I recently updated my site and believe it broke then. I've updated the links to download the tracks. Thanks! good Thus for all of those our staff is definitely heading to reveal a thorough guidebook on “How to register for online Snapchat account” mainly because very well as “How to Logon into your Snapchat account”. Thus allows obtain items began.nice. awesome however individuals will obtain seamless video streaming experience due to No Advertisements and also faster buffer nice. awesome also inspect all the discographics and also other tunes from your favored musicians. They will not bill you for anything but as expected there would certainly be great. Thanks for the song . I will be adding this song in my vlc playlist . Its so nice and amazing one .I have one free giveaway i found even you can try it out movie starplanet unlimited starcoins vip status . I hope this will be helpful to you. Thank you !! !